Blessings! 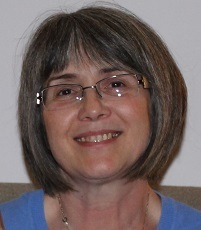 I am a wife, mother, grandmother, and author of the Pelianito Journal Blog (www.pelianito.stblogs.com). I am also a professed member of the Brothers and Sisters of Penance of St. Francis* (BSP). I made my profession to live the rule of life of the BSP in 2007 after completing four years of formation. This has been one of the greatest blessings in my life. In our time, the word “penance” holds a negative connotation. But nothing could be further from the truth. The call to penance is a call to holy joy, to deeper love, to join Christ on the cross, to offer the gift of self for the good of others and the ultimate good of all. I believe our Lord is reviving the call to penance in our day. Never has the need been greater for souls willing to offer reparation to the much-wounded heart of our Lord and His Mother, and for the salvation of those God has given us to pray for. I believe God is calling many to give more and to do more, to live a life of deeper love and joy through generous acts of joyful penance. It is my hope that I may encourage them on that path. I have been writing for the BSP monthly newsletter for several years, and recently felt called to post these articles online for the edification and encouragement of those who may also be feeling the call to increased penance, but have no one to help them. I will include in my territory of souls all those who read these articles and especially those who feel called to increased penance. May God guide us all into his holy joy now and in eternity. I would like to be able to communicate with the author of this blog. Is there an email for her? Margaret thank you for identifying an oversight! I have added contact information to the About post above and look forward to hearing from you.